As a society, we’re always looking for anti-aging tips that will help us to deal with aging more gracefully. New research, published in The New England Journal of Medicine may provide us one of the simplest anti-aging tips out there – enjoy a couple of cups of coffee each day! If you love coffee, you’ll be happy to learn that it can bring more than just happiness to your morning; it may actually help you to live longer. The researchers analyzed the coffee drinking habits of 229,119 men and 173,141 women that were part of the National Institutes of Health – AARP Diet and Health study. The participants were between the ages of 50 and 71 at the beginning of the study. Coffee consumption was only assessed at the beginning of the study. Follow-up on the aging participants between 1995 and 2008 found that 33,731 men died and 18,784 women died. The researchers found that participants who drank coffee were at an increased risk of death before adjustments were made to the study. Coffee Drinkers – The Damage Coffee drinkers were more likely to smoke, eat more red meat, eat less fruits and vegetables, exercise less and drink more alcohol. All of these behaviors can cause damage and lead to an increased risk of disease and death. Once these factors were adjusted for, they found that coffee consumption was inversely related to mortality. They found that drinking coffee decreased the risk of dying from many diseases often associated with aging including: heart disease, respiratory disease, stroke, injuries and accidents, diabetes and infections. However, drinking coffee had no effect on death from cancer. Relative to those who did not drink coffee, those who did drink 2 or 3 cups of coffee per day had less of a chance of death. In the follow-up period, women who drank between 2 and 3 cups of coffee had approximately a 15% decreased risk of death and men had approximately a 10% decreased risk of death. What is interesting to note is that the decreased risk of mortality was the same whether participants consumer caffeinated or de-caffeinated coffee. While this study had a large number of aging participants, a drawback is that they only measured coffee consumption at the start of the study. Coffee consumption for participants may have changed over-time and this was not accounted for. The researchers cautioned that this research is observational and showed only an association between coffee consumption and a lower risk of dying from the above-mentioned diseases. Future research should investigate how drinking coffee can prevent the damage caused by many diseases that may lead to death. How Might Coffee Help With Diseases Associate with Aging? 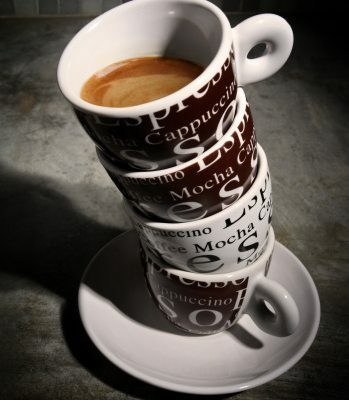 Coffee contains antioxidants among other ingredients. Antioxidants are substances that may provide an anti-aging effect because they prevent damage caused by free radicals. Free radicals are produced as the body breaks down food or when it is exposed to environmental toxins that can cause damage such as tobacco smoke and radiation. Free radical damage has been associated with a number of health issues. This is just one way in which coffee may help reduce the damage and death rate from diseases that are commonly associated with aging. Future research should try to identify the component(s) in coffee that is responsible for health benefits. For now it looks like drinking coffee, in moderation, should be added to your list of anti-aging tips, as it may just help you live a few years longer.